We had a very successful “Firsts Fortnight” here at Petersfield. We set SMART targets for everyone who wanted to participate and made sure there were opportunities to have a go. It was really motivating! Caroline learned how to jump in one change from Queen’s – to Rounds – to Tittums – and back again. Christine joined in ‘firing’ for the first time. John rang a successful Mexican Wave. Mary rang a touch of Stedman Triples. Melanie called touches of Grandsire Doubles. Mike (our loyal regular visitor from Steep) rang a touch of Stedman Triples. Moo conquered ‘anti cat’s ears’ in Stedman Doubles. Sue rang down in peal. Robin rang Bob Doubles starting from a different bell (not his usual 2). We would like to thank all the people who helped to make this scheme work for us, especially our regular visitor-helpers Mike and Terry, and all the extra ringers who came to the special extra Grandsire/Stedman practice organised by Moo. A ‘Firsts Fortnight’ message from Guild Master Viv Nobbs. A superb mix, from – first time on the end of a rope to new Surprise Major method and Maximus ringing, for example. There were handbells, fun challenges, peals, calling and conducting, simulators, theory lessons and homework, entering a striking contest, running a practice, ringing on higher numbers, ringing in new places, quarter peals. Tower captains certainly did their bit; they were really coming into their own, looking at new and exciting ways to inspire us ringers and enjoying the rewards and the great sense of achievement alongside their ringers, I’m sure! we are interesting many of those in the Twittersphere with our ‘Firsts Fortnight’ initiative. They are liking and sharing our tweets about the fun we are having, the positive learning and the natural networking that’s going on i.e. people moving around the Guild and not being afraid to get to know each other, and they are asking themselves if they could do the same things. the people ‘liking and sharing’ our Firsts Fortnight initiative have been from all over the country, from Durham Ringers, Chigwell Ringing Centre, Castle Bromwich Bells, University Ringing, Fulham Ringers, Eastbourne Ringers, Kenysham Bells, Tied Bells in Norwich, Hereford District to Dengie Bells in the Essex peninsula. So, why a “Firsts” anything? I strongly believe that maintaining ringers’ interest often results in retaining ringers in our towers and I love the concept of “Challenge, motivation, believe and achieve”! Many of us love to explore what’s over the horizon and I’m convinced that’s the case in ringing. Sometimes we need gentle persuasion and encouragement from our peers and mentors to take the next step, to supply the tools (including some extra confidence maybe? )…fortunately it’s there for the taking! “I feel guilty at how much time you spend teaching me!” But, hey, we’re a team after all, we’ve all been there – at the very start – and are very grateful for our own teachers’ and mentors’ invested time in us. So, new ringers, teachers, experienced ringers – all were involved with our ‘W & P Firsts Fortnight’ – a great opportunity to provide some short-term focus for us all. Much progress was made and a great time was had by all -just how it should be! All of this surely bodes well for the future? So, what next……? Following the success of First Peal 2015 which took the world of ringing by storm last year our Guild Master Viv Nobbs proposed holding a Guild Firsts Fortnight which ran from March 1st to March 15th 2016. The idea was to build on the successful concept of encouraging more people to take a step forward in their ringing but also to recognise and celebrate that a personal milestone in ringing is an important event whatever the achievement. With ringing being a team activity, just as First Peal 2015 added many new peal ringers to the peal ringing community, encouraging local ringers through Firsts Fortnight helps local bands build their skill levels and possibly achieve things that were not possible previously. It seems that W&P ringers embraced Firsts Fortnight at every level from taking the next step in the learning process, ringing a different bell, trying a different method etc through to first quarter peals, first quarters in method and firsts in conducting. Traditionally ringers have marked first achievements such as first quarters and peals but we should recognise that for many ringers the road leading to such achievements may be long and sometimes discouraging and indeed some either do not aspire to these levels or perhaps have little opportunity to do so locally. So something that celebrates these stages and encourages people to try to take their ringing to the next stage cannot do otherwise than benefit ringing in the area generally. Looking at the list of achievements it certainly seems to have achieved the objective set for us by Viv and many bands seem to have been really inspired to try some new things. Hopefully everyone will have seen the regular updates on the website but a few highlights include the Isle of Wight young ringers outing to Alderney, some of the Alton ringers ringing firsts in the USA and another ringer from Bramshott ringing in Canada for the first time! An all ladies band rang for a service for the first time at Winchester College and an all ladies band helped one of their number plain hunt for the first time at Ringwood. Many people had a go at ringing something different and hopefully realised that it’s easier than they thought. Lots of people got the chance to do some conducting from call changes to spliced surprise Royal and people took the opportunity to ring touches and quarters in different methods. The following people rang their first quarters. And Oliver Challoner,Pip Dillistone and Graham Nobbs all rang their first quarter in hand. Kieran Downer reports from the Isle of Wight Young Ringers’ trip to Alderney…..
Lexi Skeldon, Rosie Morrision, Maddie Burgess, Tristan Allen and Lily Johnson all rang on Alderney for the first time! Rosie Morrison rang on 12 and rang in the Kaleidoscope session. cYoung learner Rebecca White rang the treble to Plain Hunt and Bob Doubles with an all girl band at Ringwood on Wednesday 9th March. Well done Becky! Congratulation to Isla on ringing her first quarter peal during Firsts Fortnight. Thank you to the rest of the band. Our Firsts Fortnight News Is…. : On Tuesday 15 March, with help from Edmund Wratton, we rang Grandsire Doubles for the first time. Extents 1-3,8-10,15-17,22-24,29-31,36-38 Grandsire; 4-7,11-14,18-21,25-28,32-35,39-42 Plain Bob. Rung by a band of current students, all of whom have been either Master or Vice-Master of the Guild. With best wishes to our mothers this Mother’s Day. First in hand: 1-2, 3-4, and as conductor. A Quarter Peal, 1320 Plain Bob Doubles on the 14th of March. 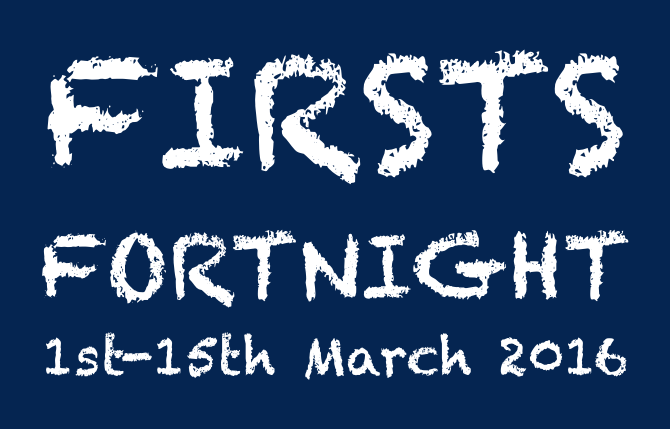 Have You Reported your Firsts Fortnight News Yet? Please get your final reports in by the end of the weekend to make sure they are included in the final summary next week! We have achieved our firsts in the last couple of days of “Firsts Fortnight”. Judy Sparling, Andy Sparling and Matt Watts all attended the first mini ring practice on Tim Barnes new mini ring in Chatham, NJ. With the Trinity, New York band. Andy Sparling and Matt Watts lost their first peal attempt of Stedman Caters in New York, but scored their first quarters of Plain Bob Caters, first quarter rung in USA for both, and the first quarter of Caters for Matt. Eling Band Achieves Lion’s Share of Tower Captain’s Firsts Fortnight Goals…. Lawrence ring above inside for the FIRST time. Susanne learn to raise a ball IN PEAL for the FIRST time. Susanne. Choose any tune and convert it into handbell music so that the handbell team ring it FIRST. Done 15/03, and very musical! Lawrence. Write out a plain course of Stedman Triples. a. Alan learn Carlisle Surprise Minor for the FIRST time, and ring it on Sunday.. DONE . In February, looking towards firsts fortnight at the Town Church we realised that a large majority of our ringers would be away at different times and we would struggle to achieve our firsts in our normal ringing slots. However, keen to rise to the challenge we all compared diaries and put together a plan of action. The fortnight started with Judith Lainé ringing her first QP of Grandsire Doubles. The next attempt had to be changed at the last minute and became M Doubles – a first in variation for all – Duncan Loweth, Mike Bubb Jane Le Conte and Sue Park. Our thanks to Mike Bubb from the Vale calling it for us. In the second week Jenny Dunning rang her first QP on the treble which was called by Forest ringer Anne Dorey who picked up her first as conductor. John Lihou rang over over 720 changes treble bob hunting to Cambridge for the first time, but sadly the QP fired out 5 min before the end. Duncan Loweth rang his first QP of surprise in hand before Sunday service ringing as a practice for a peal attempt after service ringing. The peal also being first surprise in hand for Peter Bevis of St Anne, Alderney. A quick nap and a bite to eat later the peal band rushed to St Giles, Reading to ring Duncan’s first QP of London S Major. Many thanks to the Reading ringers for their assistance. Back in Guernsey Colin Sills rang the treble to Grandsire doubles for the first time in a QP. Having rung the tenor for several first QP over the fortnight Janice Firth had not yet picked up her first in the tower. Handbells were the answer where first she rang her first course of Little Bob Minor followed by first of Spliced (Plain and Little). With various of the band off Island we were lucky that enough were back by the last day to attempt a QP of Barrow-upon-Hummer which has been our special method in the tower for the last couple of months. Considering we had not practiced it for several weeks we rang it very steadily and it was a first in method for all – Duncan Loweth, Paul Lawrence, Jane Le Conte and Sue Park. We’re very grateful for the help we received from ringers from other towers in Guernsey and further afield in scoring our firsts over the past 15 days. 160 each Ashtead, Cassiobury, Cornwall, Cray, Ipswich, Lindum, Uxbridge, Yorkshire. First in these methods by all except 8. 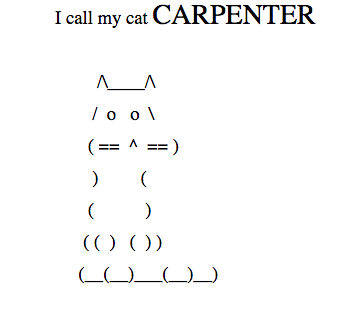 By members of the Sunday service band. Our quarter peal on 14th March as a celebration of Harry White’s 80th birthday included Horsley. Austrey, St Ignatius and St Thomas, variations which we had not rung in a quarter peal in the past. With a little poetic licence the methods and variations spelt out Harry White 80. Have fun see what names you can come up with ringing methods and variations in a quarter. Nothing rude though! Methods and variations chosen and rung in that order to tell all Harry White is 80. Our Firsts Fortnight News Is…. : Probably the first quarter of Cray Surprise Minor for the band. Catherington band (with help from Nick from Chichester) decamped to Soberton for the night. Definitely the first blows in the method for 4. First blows in method 4. First Quarter for Will Holmes. Also get well wishes to Maurice Bailey, recovering from a recent operation. Our Firsts Fortnight News Is…. : Congratulations to John Gresswell who on Wednesday 9th March rang his first Plain Hunt Triples. A “got well” compliment to Paul, his first quarter for a long time following major surgery. Our Firsts Fortnight News Is…. : Ben Jennings rang Rounds and Call changes on 10 for service at Christchurch Priory. A very good achievement considering he has learnt to ring at Sacred Heart, Bournemouth which only has a 3 and half cwt ring of 6!! Ontario. First time ringing in Toronto and, indeed, Canada. Winchester District Youth Practice – Firsts Fortnight News. Winchester District Youth plus friends, had a really productive and enjoyable practice at Sparsholt on the afternoon of Sunday March 13th. Everyone was up for attempting a “First” and first up was Daniel Hartley of Eling who successfully called changes to Queens and back to rounds. Daniel was ringing an affected bell which made it all the more difficult. Well done Dan! Megan Bucknall of Winchester Cathedral rang plain hunt on bell 3 and then bell 4 . She also conducted her first call changes. Sam Fussell of Lockerley rang the Sparsholt tenor and called his first call changes. Thomas Blissett of Sherbourne St John rang the tenor to rounds and rang the treble to Grandsire after changes had been called by the conductor. A large chocolate cake was devoured ( not a first) and Jen Churchill managed to drink her tea. (Definitely a first) Well done Will for ringing your first quarter on the treble earlier in the day. This QP took place after the Guild Exec meeting and was “first in Guild” for Debs Baker. Happy 80th Birthday to Harry White as well! First in W&P Guild and longest length to a quarter 2. An 80th birthday compliment to Harry White of Vale, Guernsey.